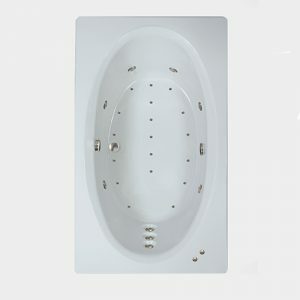 The C7236 CW combination whirlpool bathtub is a two person acrylic whirlpool and air massage bath, the ultimate massage bath. 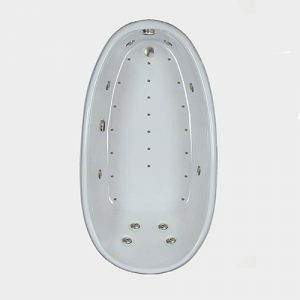 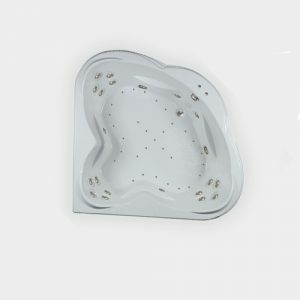 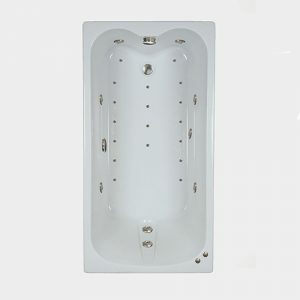 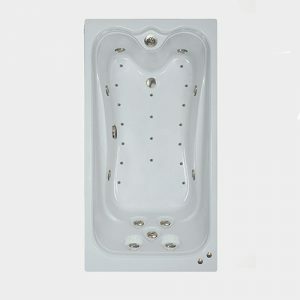 This jacuzzi-style bath is unmatched in design and total body massage therapy. 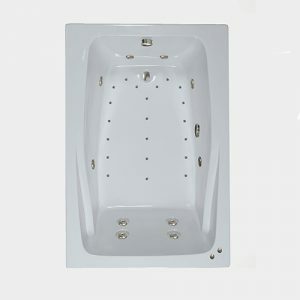 A rectangular bath that can also be incorporated into a shower. 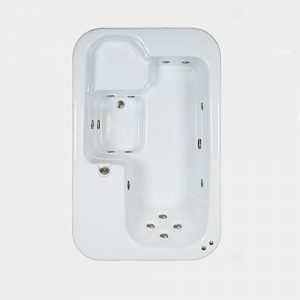 The bath’s 36″ exterior width allows the bath to be placed into a bathroom with restricted space which is perfect for remodeling. 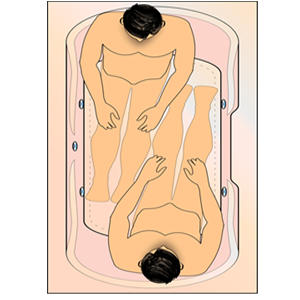 Watertech placed water and air injectors (jets) throughout the bath to provide maximum massage pressure over the total body from a variety of angles. 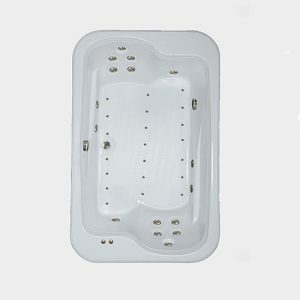 The top deck of the tub is large enough to hold most deck mounted faucets and hand sprayers. We recommend that you take time to go to our website to understand the difference between Watertech’s combination massage systems and other manufacturers inexpensive drilled holed systems. 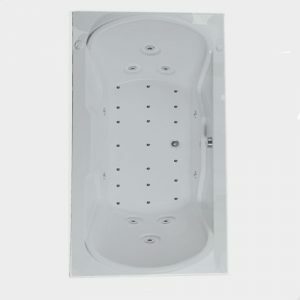 All Watertech baths are U.L. 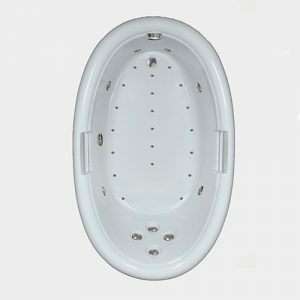 listed and proudly made in the USA, a claim many brands can not advertise.